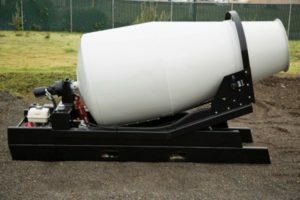 The Cart-Away mixing trailer is virtually trouble-free. Most of the mixers that we built in 1993 are still delivering concrete today. The reason that they last so long is that there are very few wear-parts that need to be replaced. 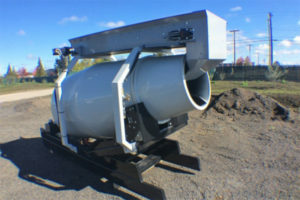 One of the wear parts is the portable mixer casters that support the drum on the discharge end of the mixer. Older units had the portable mixer casters that roll within a channel. 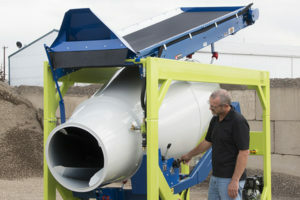 Newer Cart-Away mixing trailers have a flat-bar for the casters to roll upon. Ether style will require regular greasing and occasional replacement. 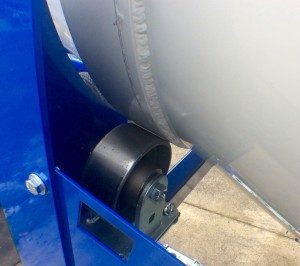 Removing and replacing your casters is a relatively simple process that requires bracing up the drum, removing safety covers, dis-mounting the caster and then bolting it all back together again. This process will require simple hand-tools and about 1-hour of shop time. 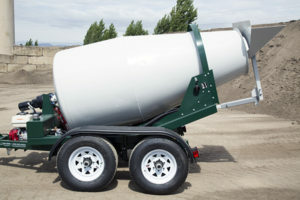 The Cart-Away parts department stocks these portable mixer casters to fit U-cart concrete trailers, as well as the Cart-Away, branded trailers. This short video will demonstrate the caster changing process. We chose a 1990’s mixing trailer for this video, but the process will be the same no matter the age of your portable concrete mixing trailer.